WAYNE J. DEL PICO is president of W. J. Del Pico, Inc., where he provides litigation support services and expert testimony for construction-related matters. He has more than 35-years of experience in construction project management and estimating and has been involved in projects throughout most of the United States. He is a member of the adjunct faculty at Wentworth Institute of Technology in Boston. 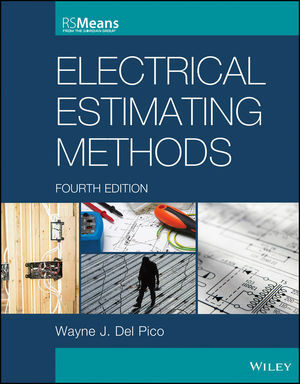 Mr. Del Pico is a nationally recognized lecturer and author on estimating, scheduling, and project control. He is the author of Plan Reading and Material Takeoff, Estimating Building Costs, and Project Control: Integrating Cost and Schedule in Construction, and coauthor of The Practice of Cost Segregation Analysis. He is also a practicing Neutral with the American Arbitration Association, where he hears construction-related arbitration cases.